Have a customer that wants it all, looking at building a 75 f100 for dd duties, ac, good street manners, 10-12 mpg under normal 55-65 driving, anyone have a lentech 4r70w behind a 385 series engine? Looking for a 6-700tq engine with the ability to pull those kind of mileage numbers, looking for real world input, thanks. Does he want it to idle like a Crown Vic and rev like a chainsaw too? Seriously, I'm looking to do the same thing in a '66 Galaxie with the ability to throw a 400 shot on top at the track. I have been in touch with mad porter on some of the build , was looking for real world scenarios and situations. We discussed a coyote swap, but I think the big block is going to be more cost effective for cost per hp. I know it's a total package of the build and it's not a set number were looking for just as much as we can get falling in the 10-12 mpg. You can have it all! Most of it anyway.Might be a small problem with the MPG. My setup... Lentech makes a good trans but you can do your own way cheaper to handle 750 hp easy. Google J Mod. Really good info on clutch pack modifications. The valve body info is a little dated. Lots of info out there on 4R's. 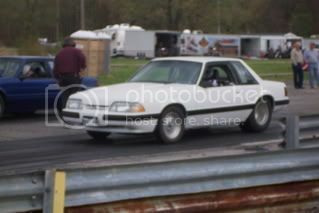 Been beating the crap out of mine for 3 yrs,500+hp. Let it rip thru 3 and cruise down the road in OD. Scotty reminded about the e4od, anyone point me in the right direction with a company, build is probably going twin turbo and smaller displacement now. AOD?? Not talking about AOD. Use the adapter I linked and a 4R70W case from a v6 or a small block which fits directly to the adapter. The E4OD you brought up is an option but they are huge and heavy and have their own set of problems that must be addressed. Anyway,nothing at all wrong with AOD either if built right. Lentech quotes me almost 6k with out the converter, they said they had a problem with the last one they did with the converter face and the spacing between converter and flywheel, said they supposedly have that figured out now, going to look into the e4of next. The E40D is huge and heavy but it is also a very strong transmission that will bolt directly to the big block engine. I put one in my '79 Ford F350 pickup last fall in place of the C6 and to get it to fit I had to make a cross member, shorten the driveshaft 4 inches and make some linkage that bolts to the side of the transmission case. Other than that it was a bolt in swap. The case is very large up by the bell housing and I had to cut off a tab on the left side but it cleared everywhere else including the cross member that's at the rear of the engine. I'm using the Quick 2 controller from Bauman and it works great. Programming was very easy using a laptop computer connected via USB. My truck which has 4:10 gears went from getting 10mpg running at 62mph to almost 13 at 70mph. The Mad Porter and BigAggie like this. Dave. .... What kind of set up is in your 79? 4x4 ? Displacement ?upgrades? Makes me feel a lot better about this build. My truck is a two wheel drive with a 460 engine that makes about 330 horsepower. From a friend of mine who builds transmissions I got the core parts that I needed: A 460 style E4OD case and a core transmission (6 cylinder) with all of the hard parts including an output shaft and tail housing that could drive my mechanical speedometer. My core was a 1991 which is OK and really only a 1989 case should probably be avoided but I needed pretty much all of the updates that Ford did to the later models. I updated mine to the newer style front pump, roller center support, newer style band servo, steel OD and forward planetaries. I used a Transgo "Tugger" shift kit which comes with upgraded snap rings for the OD piston and the coast clutch. I bought a rebuilding kit with Borg Warner clutches from Transgo along with a bushing kit, new thrust washers, new band and a low stall billet cover torque converter. My core transmission only had two clutch plates in the OD and intermediate so I changed the pressure plates to allow for three clutch plates. In my core the forward clutch was cooked and it only had three clutch plates so I put in another one with four. Things to look for: Make sure that your output shaft has the same number of teeth as a C6(6 teeth). My core didn't which meant that I had to fool around getting the right gear to make the speedometer read correctly. I had to change the speedometer cable to one that would plug into the speed sensor at the transmission. My original one was made where the cable went into the trans tailshaft. Without question replace the aluminum OD planetary with the later steel version! I didn't do this on my trans at first and mine broke on me while running down the highway out in the middle of Kansas! I found a different transmission cooler to replace my original one. It was exactly the same but just about 2.5X taller. I used Joe Gibbs Driven AT3 fully synthetic fluid 17 quarts worth! I think what I'd probably do knowing what I know now would be to find a core from about a '96 which would already have most of the upgrades and then just change the output shaft and tail housing. DanE and BigAggie like this. Last edited by DaveMcLain; 03-20-2019 at 08:51 AM.